house church | Open Our Eyes, Lord! Today’s American church has become professionalized, and only a handful are allowed anywhere near the microphone. By contrast, the early believers did not meet as a megachurch, but as a network of house churches of fewer than 100 people. When Paul describes a meeting, he envisions a worship service where everyone had the chance to participate, not just by singing and giving money, but by teaching, leading a song, or giving a supernatural message. Some indigenous tribes have used an object called a “talking stick”; in meetings, it was passed from hand to hand – whoever had the stick had the right to speak his mind. We are celebrating the 500th anniversary of the Reformation, when believers came to reject certain tenets of the Roman church and attempted to restore biblical doctrine. And everyone remembers that doctrinal superstar, the final authority of the Scriptures; also, the famous justification by faith alone. But according to many experts in the field, without the “third tenor,” the third principle, there would have been no Reformation. This is the doctrine of the universal priesthood of all believers; that is, that Christ is the one and only high priest, and that because we are united with Christ, and anointed by the Spirit, then each and every Christian is a priest. Theology Puzzle: Circle the priest in this photo. It’s fun! Interestingly enough, the Protestant and the Catholic both are in agreement with respect to the importance of the doctrine, since priesthood is not a peripheral doctrine or secondary; it is one vital component of how we understand salvation itself. Usually it’s the Old Testament that garners all the publicity for archaeological finds, and for good reasons: the Israelites inhabited the land for centuries and left behind all kinds of artifacts. Jesus and the apostles did not erect buildings or put up inscriptions or make special clay pots. #5. The Pool of Bethesda. The Pool of Siloam (John 9) was discovered in 2005, and it fit very neatly with the biblical description of the place where the blind man washed and was healed. 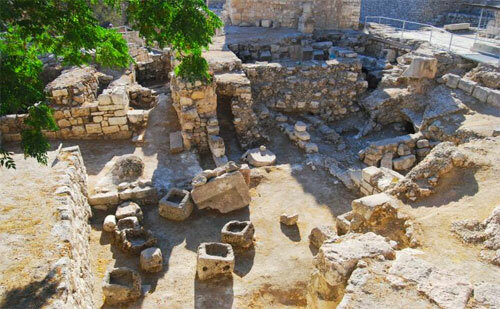 The Pool of Bethesda, by contrast, was discovered long ago but positively identified only recently. [ii] It lay just north of the Temple, by the Sheep Gate, as John states. In John 5, Jesus visits Bethesda and sees the lame man who had been waiting for years. John describes the structure as a pool “surrounded by five covered colonnades.” Now, a five-sided structure would have been rare indeed, and some skeptics used to dismiss John’s description and other elements of his gospel as a myth. But sure enough, the ruin of Bethesda shows that it definitely did have five colonnades and porticos, just as John describes it – and its architectural oddness is probably the reason why he mentioned it in the first place! It appears that the pool was a mikveh, that is, a place where people would bathe to purify themselves before entering the temple. 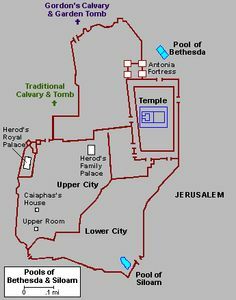 [iii] The Pool of Bethesda backs up what John says, and suggests that he had reliable information about its details. 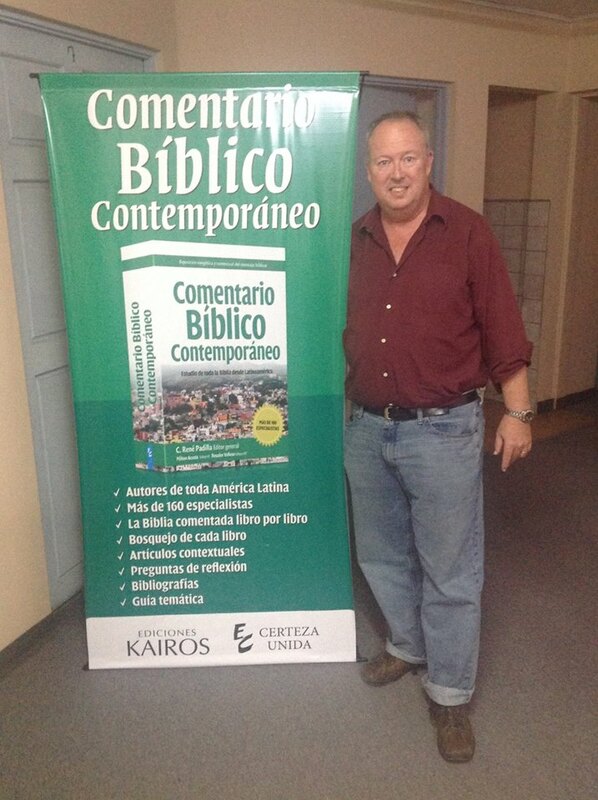 Certeza Unida and Kairos will publish my Romans commentary as part of their Comentario Bíblico Contemporáneo (Contemporary Bible Commentary). More than 160 scholars participated in the project. What follows is adapted from the section “How to Read Romans,” in which I show its particular application for Latin America. The epistle to the Romans meets the Christian on two levels: (1) as a treasure house of beloved gospel texts; (2) as an ancient missionary letter, written for a specific moment in Paul’s work among the nations. Both levels are valid, since the disciple today first comes to know Romans because of its neat formulations of, for example, the deadliness of sin (3:23), the free gift of eternal life (6:23), the transformation of the new person in Christ (12:1-2). Then beyond that, we must enter into the mind of Paul and appreciate his plan for the final years of the AD 50s – a missionary journey that would take the gospel farther west from Jerusalem than it had ever gone, across several of what we know as time zones. We then see that Romans, when first delivered, was a clear call to action for the believers in the capital to receive Paul for a time, and later to sponsor his trip to evangelize Spain. In Latin America too we are arming ourselves to take the gospel to the nations, in particular, unreached ones. We too will benefit from knowing, not just what Paul said about salvation, but why he said it to these Christians in Rome, and by extension how it is God’s summons to us to show forth the gospel. Romans is the largest extant letter by Paul. It is also the most systematic in its structure, touching on many facets of the doctrine of salvation (soteriology) but saying little about other themes, for example, the Last Days. Paul begins with the lostness of the world, then God’s solution in the death of Christ, the power of the new life in the Spirit, and later, details about how to live the Christian life. He also introduces a long section in chapters 9-11 to answer the questions Why don’t Jews believe in their own Messiah? Will Israel come to God eventually? The best way to enjoy this letter is to read it; one can read Romans aloud at an unhurried pace in about one hour. Note: this sermon outline is based on my volume in the Zondervan Exegetical Commentary of the New Testament; readers might want to acquire that commentary if they wish to see the exegetical work behind these talks. These posts are Sermon Notes, not polished messages. A few years ago I went to a reunion; there were people I hadn’t seen in decades. There are only one or two believers in my class. Most of them know I am a missionary, and some of them cannot understand why I would want to waste my time doing that. On the other hand, I heard from a few people: “Gary, your work must be so fulfilling.” The value these people were expressing is, It doesn’t matter if you don’t have money or success; if you feel personally fulfilled, then what you’re doing is right and admirable. Now, I can assure you that I do feel fulfilled. But what we have there is a partial truth, since it isn’t the same as what the Bible tells us. By the same token, people might imagine that Mother Theresa worked with the lepers because it made her feel really good about herself. No. I believe that all who are Christians are called to serve God, not just pastors or missionaries. That means that if you are a disciple of Jesus, he has called you too, period. From that point on, it’s just a matter of finding out how and where. However, if you serve the Lord because it is fulfilling, that program will only take you so far, and will sooner or later end in disillusionment and defeat. And God may at some point make us confront another truth, a deeper one: that God’s call is true even on the days we feel like victims, disappointed, stressed, confused, cheated, failures.